For Warren Woods Tower High School 10th-grader Angel Vitale making a plaque for her dad, a pillow for herself and coasters for anyone has helped her cope with life and motivated her to attend school. Vitale is one of five students at the high school participating in Scratch the Surface, part of Warren Woods Public Schools’ effort to comply with a package of new state laws that require “restorative practices” at all buildings. The laws, which took effect at the start of the school year last September, require school officials to consider some type of restorative practices, aka restorative justice, rather than automatically suspending or expelling students for a disciplinary issue, with the only exception being if a student brings a firearm to school. The laws were passed to reverse the “zero tolerance” philosophy enacted in the 1990s — especially after the 1999 Columbine High School shooting — that focused on punishment and reduced flexibility that “resulted in unintended consequences,” said an analysis of the law by the state House Fiscal Agency. The new laws received bipartisan support among politicians and universal support among educational organizations as well as the Michigan Council on Crime and Delinquency. Officials believe restorative practices contributes to reducing potential violence and threats in schools, among other benefits, in the modern age of mass school shootings. 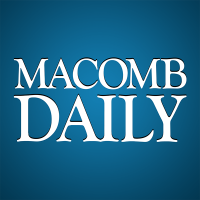 “It definitely contributes to school safety,” said Nancy Buyle, school safety consultant for the Macomb Intermediate School District. It keeps students engaged with the school community, fostering empathy and civil treatment of others, she added. 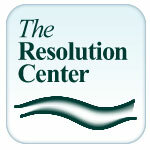 The Resolution Center in Mount Clemens already was helping six Macomb County schools in implementing restorative practices for several years. Center Director Craig Pappas said that in the 2016-17 school year, nearly 5,000 days of absences due to discipline were averted thanks to restorative justice. Many conflicts between students start or accelerate on social media, so forcing face-to-face meetings among the parties, sometimes including their parents, can help achieve harmony.